I heard the other day that by 2017, 50% of the pharmacy spend in the U.S. will be on specialty pharmacy. It seems this is driven by two phenomena. The first is the growing crop of new molecules that are in the class ‘biologics’ – developed via biotechnology and which are complex to manufacture, require special handling and care coordination. They are incredibly expensive but have given us new hope for such conditions as Hepatitis C and a variety of cancers. These are classified as specialty pharmacy drugs. The second phenomenon is that just about everything else will be generics. Specialty drugs in this one burgeoning expense class seem to be taking over the pharmaceutical industry, and bucking the trend in health care — to succeed by being more efficient. This brings to mind two opportunities for connected health. One is surrounding these expensive therapeutics with connected health applications in order to improve outcomes and reduce costs. The second is that connected health interventions, because of their demonstrated improvements in adherence, can improve the care experience, patient satisfaction and quality of life, and themselves prove to be therapeutic. The first example is a clinical research program we have under way with adolescents who have asthma. We’ve created a private Facebook group for them to be part of, and that’s about it really. No fancy bells and whistles. Just old-fashioned social networking. This is a study in progress, but to date we’ve already seen a positive effect, as measured by an instrument called the Asthma Control Test (ACT). Typically, the success rate of teenagers filling out this survey is 18%. Although the results are still preliminary, it appears that just putting kids in a Facebook group increased their participation to 80%. 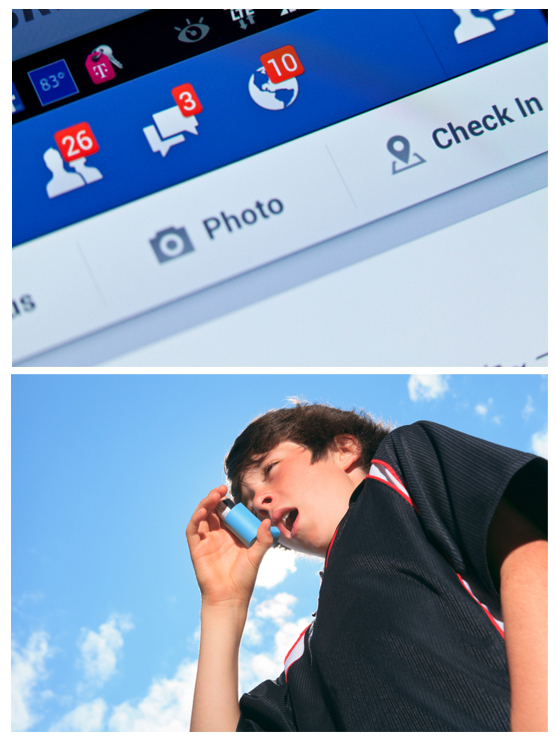 More importantly, the improvement in the score on the ACT measuring how well these teens are controlling their asthma also appears to be significantly improved, compared to the use of a new inhaler, it seems that Facebook can be more therapeutic than a drug. I’m being provocative here, but you get the idea. The messages were algorithm-driven; they were not sent by a person. The algorithm took into account several variables, including self-reported information on how motivated the individual was to increase activity, data from the activity tracker, weather data, and some electronic records data. This intervention was conducted over six months. Interim data suggests that patients receiving the automated messages had a significant drop in HbA1c, more robust than the effects of Metformin, one of those generic drugs referenced above. 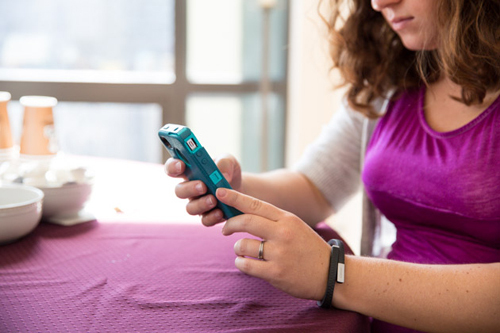 Once again, we see the potential of connected health to be more therapeutic than a drug. This result is even more impressive when you take into account the fact that the messages were machine generated. As always – provocative and exciting! Your results continue to prove that people do want to engage in their health and they want to be “social” about it. The implications for the traditional care delivery model are staggering – and not a moment too soon, given cost and access issues. We need to create the consumer health experiences that engage people in proactively managing their health – regardless of current status. What you are accomplishing on an experimental basis lays the foundation for the next generation of care and it is truly exciting for both consumers and providers. You know my focus is opening the flow of data in healthcare – as we look to combine connected health applications, collaboration between care delivery channels, “social medicine”, and supplement all of it with integrated health data from a population level down to the individual consumer level – these are exciting times. Keep up the great work, we all look forward to ongoing updates coming from CCH. As always, thank you for you and your team’s pioneering efforts and for sharing your results. I think the future for connected health brings several areas of improvement for pharma in addition to those you’ve identified. 1. Recruitment for clinical trials – a connected health solution help attract, recruit, and screen potential candidates for clinical trials. This reduces the cost of clinical trials. 2. Clinical trial operations – connected health can reduce the need to make on-site visits. This also reduces the cost of trials. 3. Drug efficacy – meshing the data collected remotely from patients (via connected health) with other data points could help not only to prove drug efficacy pre-market, but also to drive it post-market. This creates another avenue for personalized medicine. There are many more. But I do see pharma companies warming up (much rapidly of late) to the notion that they can leverage digital health, connected health, etc. to support not only their traditional objectives around drug efficacy, but also to create new products and services based on their digital health insights. Nirav – great thoughts. CCH is coming up with a potential solution for 1 and 2, but would love to collaborate or talk about number 3 if you’re interested!